DUBAI, UAE, October 2, 2018/PRNewswire/ –Openbravo, the global cloud-based omnichannel software solution vendor for agile and innovative retailing, announced today the opening of a new office in Dubai which will support company growth in the Middle East and offer enhanced service to existing retail customers in the region – like Sharaf DG and Organic Foods & Café – who are currently using Openbravo’s solution in their stores. 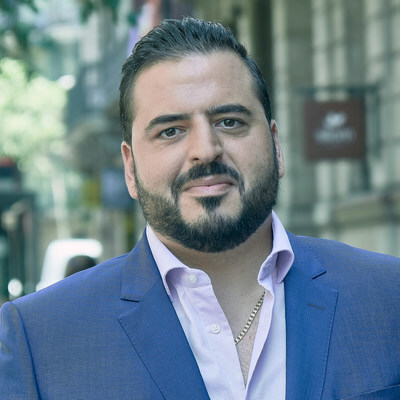 “For Openbravo the Middle East represents a huge growth opportunity thanks to the recent market changes stemming from increased competition and new economic policies. These changes compel retailers in the region to renovate their retail management systems to meet the requirements of business digitalization, innovation and omnichannel transformation, as well as to gain agility for increased responsiveness to future market changes. Openbravo helps retailers to address effectively the pressures they are facing.” said Marco de Vries, Chief Executive Officer. The new Dubai office is led by Mike Nasreddin, who brings broad experience in IT and software sales in the region working with companies including Oracle. From his new position as Sales Director MEA, Mr. Nasreddin will be leading growth in Dubai and facilitating expansion into other MEA countries. The new office is a welcome addition our other offices in France, India, Mexico and Spain. To celebrate this new office opening, Openbravo will be participating this year for the first time in the Middle East Retail Forum which will take place in Dubai on October 8-9. Visitors at Booth #12 will have the opportunity to meet Openbravo experts and learn about the latest product innovations through various live demos. Openbravo is the global omnichannel software vendor for agile and innovative retailing. The Openbravo Commerce Cloud is a cloud-based retail software solution providing comprehensive omnichannel and supply chain capabilities built on top of a highly flexible mobile-enabled technology platform, which allows retailers to innovate more and faster and to manage change more efficiently. With customers in more than 60 countries and over 16,000 back office users and 20,000 point of sales using its solutions, Openbravo offers the most flexible omnichannel solution on the market. Openbravo has offices in France, Dubai, India, Mexico, and Spain. To learn more visit http://www.openbravo.com .